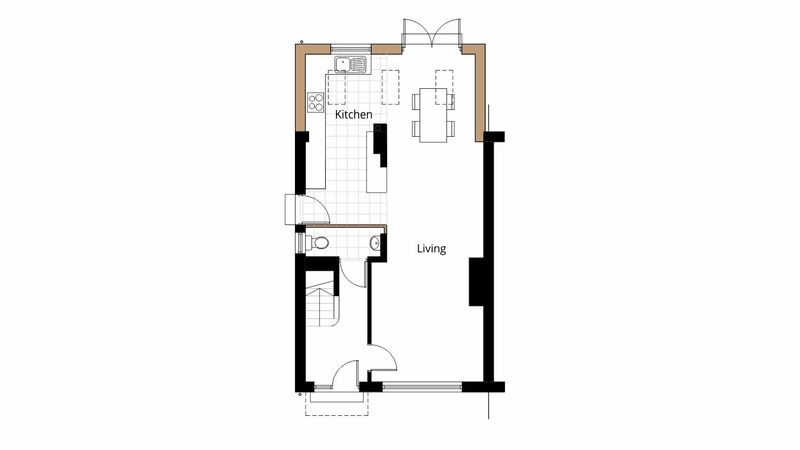 This family home contained a small kitchen and no provision for a downstairs toilet. By extending the rear of the house by a couple of meters allowed mum to have a larger family kitchen with an island whilst the children have more space for their toys. 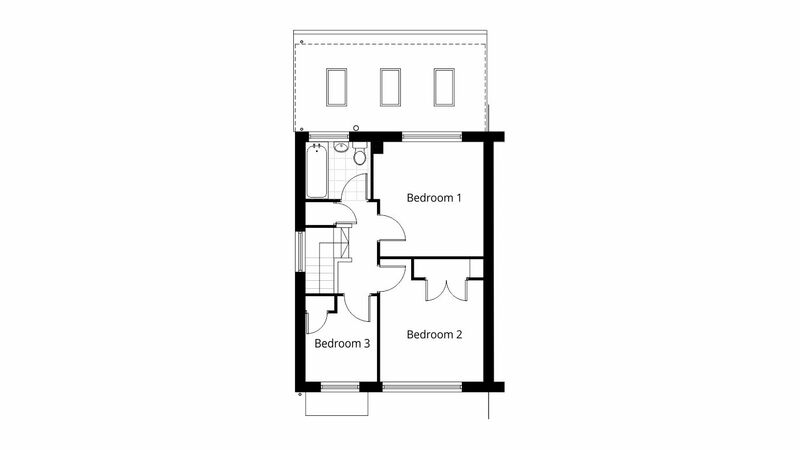 Proposed ground floor plan drawing of the kitchen extension submitted as part of a permitted development application to Swindon Borough Council to obtain a Certificate of Lawfulness. Proposed first floor plan drawing of the kitchen extension roof with roof lights submitted as part of a permitted development application to Swindon Borough Council to obtain a Certificate of Lawfulness.